Looking back on 2016 for the first time I had the feeling that I was able to get to know and review a maximum of 5% of what was released all year. 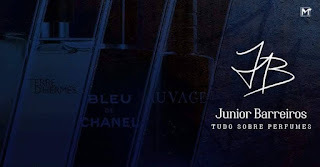 It has become a Herculean task to get samples and time for everything that is created each year while you try to cover existing, classic perfumes and use all-time favorites. Still, even testing a small fraction of what was released I could find and get pleased of many creations and I finish this list with the impression that in terms of what was used and evaluated 2016 was more positive than negative. 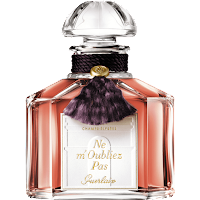 During the last two years in Guerlain it can be seen a movement that seeks to relaunch much more affordable commercial perfumes in super limited editions and at a high price, a good indication of the brand's attempt to capitalize in a very cheap way. An exception to this was Ne m'Oubliez Pas, launched in 2015 and evaluated in 2016 on the blog. Although its price puts it on an exclusive level, its chypre fruity and oriental composition is one of the most luxurious creations that the brand has to offer in recent years and one of the few cases of the recent Guerlain where you have the impression that you pay expensive and you get what you pay for in terms of aroma. 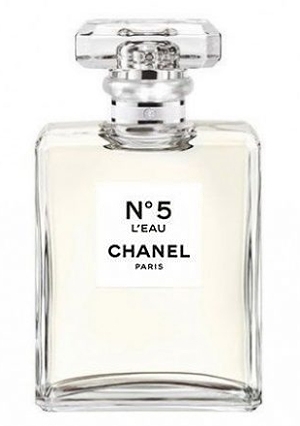 It is difficult to know with less than 1 year of release if the new version of the classic No 5 was able to reach the younger audience that the brand so much wished. Despite this, No 5 L'Eau was a welcome surprise by not disfiguring the traditional while creating a good version of it for hot days (this, of course, if you appreciate musks, which are in abundance in this new version) . 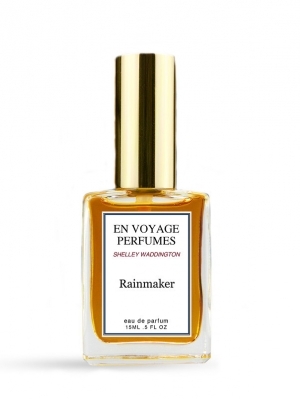 The 2016 year may not have been packed with many releases for the indie brand En Voyage Perfumes but Rainmaker's release was a sure-fire choice for perfumer Shelley Waddington. Paying homage to the rain rituals in the Pacific Northwest the perfumer was able to unite modern classical and synthetic elements to create a composition with a moist, green and chypre aura that is well balanced and interesting. The Atelier des Ors brand bet in the ultra-crowded niche market has been to combine a luxurious and flawless presentation with perfumes of well-known themes, but with the smallest attention to detail in mind. 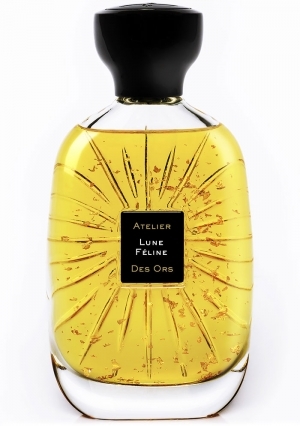 This is how Lune Feline stands out, being a vanilla scent that goes beyond the sweet to soft thematic of this note and offers a more mysterious, animalic and addictive side. A beautiful perfume. Several perfumes of the barista collection could have entered this compilation of the best of the year, but I choose Yuzucello for showing one side of the collection that seeks to balance the singularity and creativity with a more popular and commercial appeal. Daniel here manages to make a hybrid between gourmand and citrus in a super pleasant fragrance that evolves a lot in the skin over time. 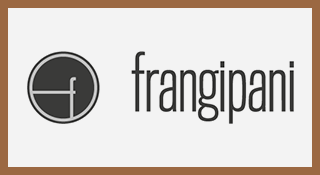 Bruno Fazzolari has been another artist and independent perfumer who among the multitude of releases has preferred to invest in an organic growth of his line, with a few timeless launches in its nature that are classics in its texture. In Seyrig, Bruno makes a very glamorous classic composition using the aldehydes to make big a creamy floral bouquet, thus creating another of the great highlights of this year. Certainly Angelo Orazio Pregoni was very inspired in 2016 since the perfumer created what for me are two of his best perfumes. 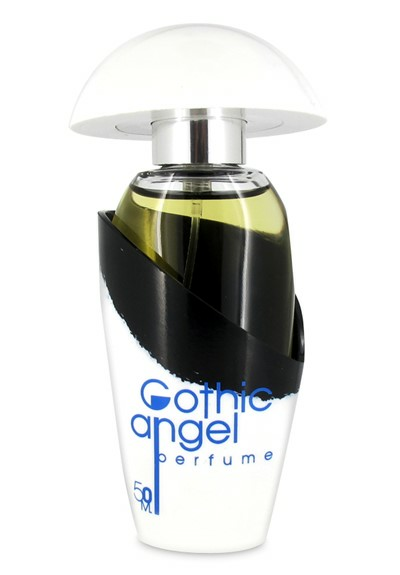 Gothic Angel looks at a different style of angelic messenger from the striking and loaded aroma of Italian Angel and brings us an angel who looks at classic aspects of the perfumery of the past while looking into the future. It is a composition that is worth to be conferred personally given the complex character of its elements and this was another creation that inspired me so much this year to write and to give me pleasure in writing about it. It is practically a rarity that Chinchilla comes as a highlight on list for me, since I am not a fan of animalic perfumes and have difficulty enjoying them. 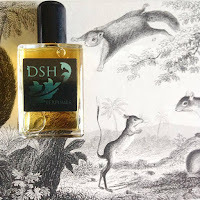 However, the work done around the honey absolute creates in this composition a soft, cozy and addictive animalic texture and is a perfume that stood out immediately as soon as its smell was felt in the sample. One of the best works of this year from a perfumer who is always inspired to gift us with good compositions. With an approach that mixes elements of the commercial perfumery with the niche one Loewe 001 Man was one of the good surprises of the year. This is a creation that I had zero expectations and that I was surprised by the complexity of the textures of its composition, capable of uniting earthy and powdery iris tones, discreet gourmands touchs, citrus and a complex woody aroma. A scent that shows that it is possible to be refined even if you follow trends. The launching of Sylvaine Delacourte brand was certainly one of the good surprises of 2016. In taking solo flight, the Guerlain creative director invested in a line which is compact, elegant and of well-defined personality, one that doesn't shoot everywhere in an attempt to please to all. Florentina is one of the great highlights of the brand and of the year, a perfume that combines the complex and sophisticated aroma of the iris to a soft and quality accord of musks and creamy tones, closing a year that offered us with excellent iris creations.